XYZ CARGO BIKE at Museum of Hamburg's show "The Bike"
XYZ FACTORY - an assembly line for XYZ CARGOs at the Museum Of Work's show "The Bike"
XYZ SPACEFRAME VEHICLES is part of the brand new exhibition “Das Fahrrad / The Bike” in Hamburg’s Museum Of Work. 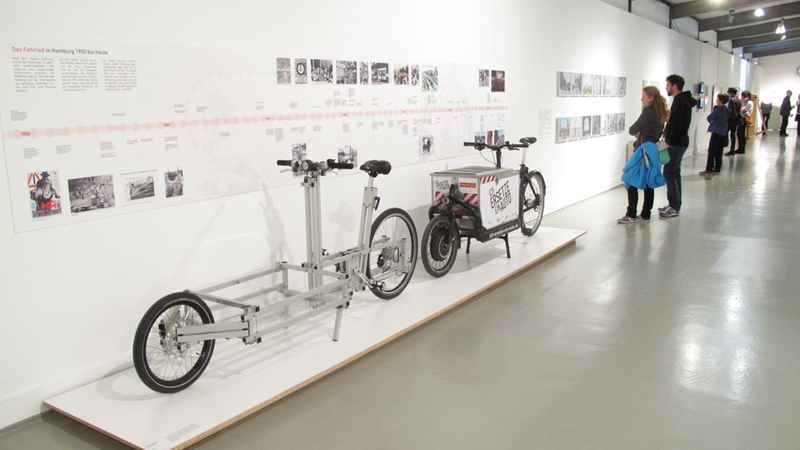 The exhibition shows a large variety of objects and oddities from bicycle history and culture. 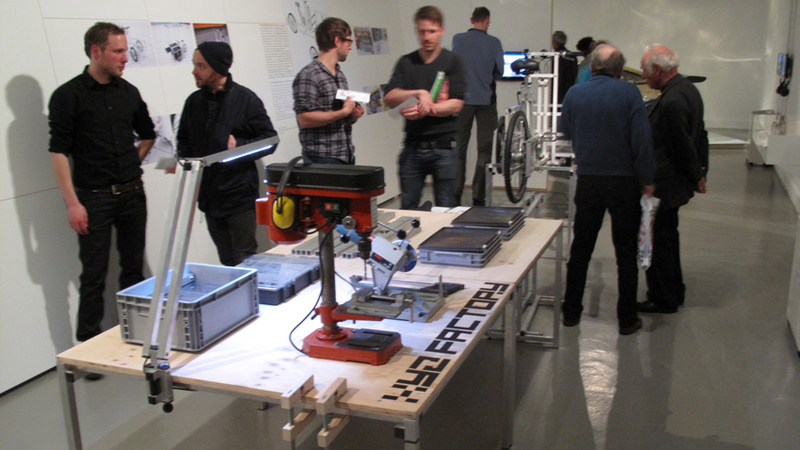 N55 in collaboration with Till Wolfer have brought a complete XYZ CARGO assembly line to the exhibition rooms, addressing new forms of local production and sharing of knowledge. Several finished XYZ CARGO models are also on display. Visitors have the opportunity to take part in frequent XYZ-building-workshops throughout the whole exhibition period in Hamburg (further dates will be published at www.xyzcargo.com). The exhibition runs from the 9th of May 2014 to the 1st of March 2015. In case you’re stopping by in Hamburg: Don’t miss to have a look at the exhibition or to come around at our studio in Hamburg downtown! 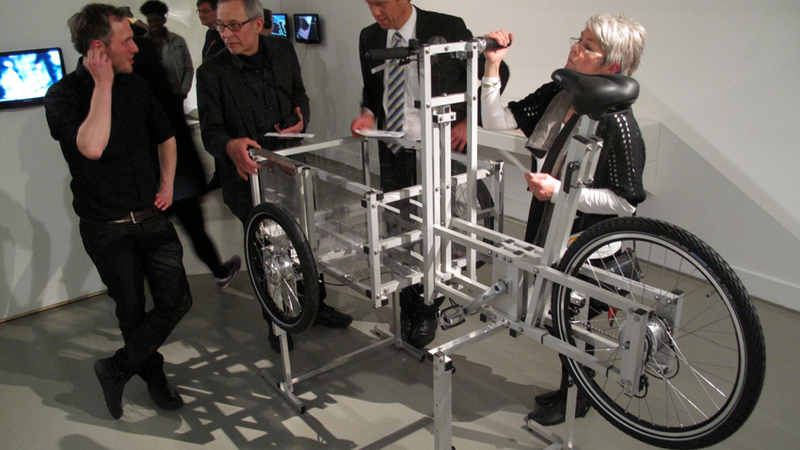 In 2015 the exhibition will also be shown in Berlin’s Technical Museum. Not far from our Hamburg studios, XYZ CARGO will be present at this year’s “Altonale”. Visit us there from the 5th to 6th of July! See and test-ride for the first time: a XYZ CARGO BIKE with E-Motor. 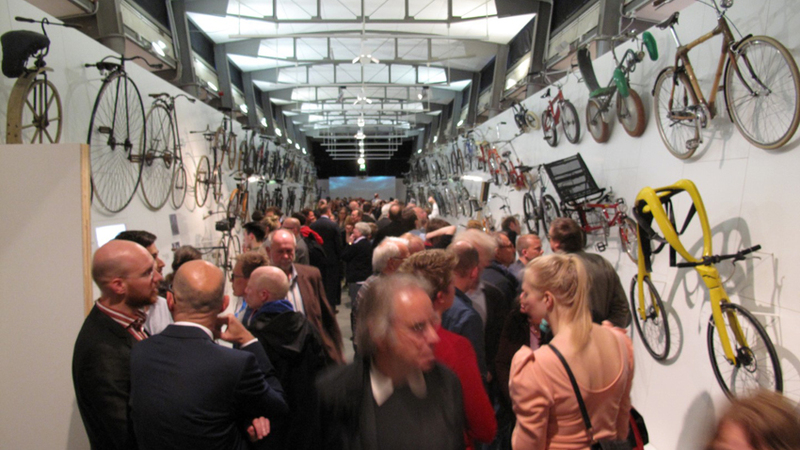 We are located at Altonale’s “Mobile Meile” at Große Bergstraße together with other alternative transport and cargo cycle initiatives. In case you missed this year’s Altonale: your are of course invited to drop by at our studios in Hamburg (Valentinskamp 28a, backyard at crossing Valentinskamp/Caffamacherreihe). Make an appointment (till@n55.dk / phone: 0176-28096379) or try within our opening hours. XYZ CARGO SHORT is ready!